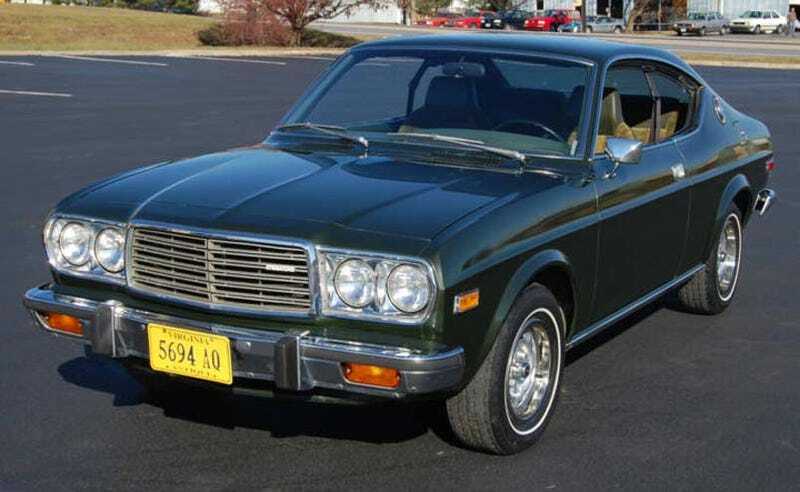 Nice Price Or Crack Pipe: 1,427-Mile Mazda RX-4 For $18,500? Nice Price Or Crack PipeIs this used car a good deal? You decide! We all love the Hurst Olds 442, of course, but 96% of us thought that a million bucks was just too high for one, last time we had to choose between Nice Price and Booth Numbah Two. Today we've got another beloved classic, and the price is much lower. Is it low enough? Nice Price Or Crack Pipe: The Million Dollar Oldsmobile? Ben Hsu over at Japanese Nostalgic Car found this 1,427-mile 1976 Mazda RX-4 for sale, and he was able to control his bouts of drooling and heart palpitations just long enough to send us the tip. According to the seller, the car ended up in storage as a result of a dealer-versus-buyer dispute 30 years ago, and the buyer's recent death puts it back on the market. Check out the velour! The science-fiction steering wheel! "Japanese air" in the tires! We totally want it, of course, but $18,500? What do you think? $18,500 for a super-low-mile Mazda RX-4?